TRANSPORT NI "cannot keep ducking" calls for traffic calming measures on a busy Co Down road after another crash, a DUP MLA has said. South Belfast MLA Christopher Stalford made the comment in a Facebook post following a collision on the Saintfield Road near Carryduff on Friday morning. Three people were treated in hospital for non-life threatening injuries following a two-car crash at a bend close to the Ivanhoe Hotel heading towards Belfast. 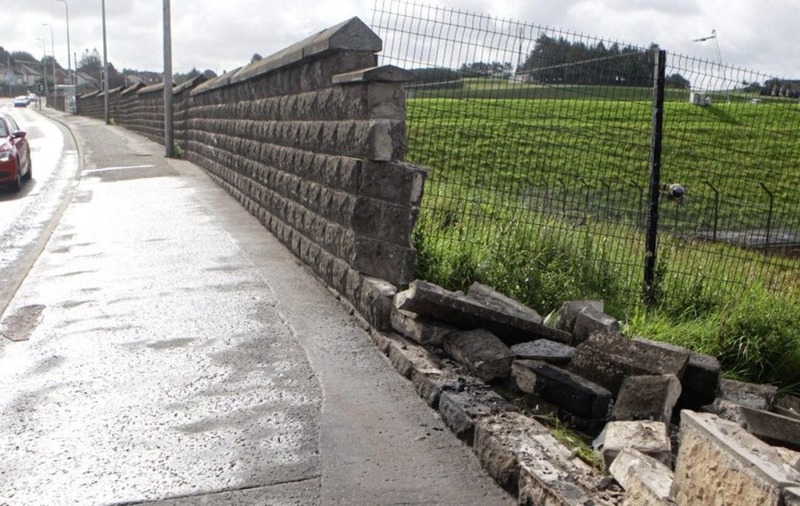 The crash caused damage to a wall at the bend and the closure of one lane during the morning rush hour. Crashes on the road have claimed the lives of numerous motorists and pedestrians over the years. In the latest fatality last Thursday, a man died in a crash after being knocked down on the upper end of the road, leading into Carryduff, close to its junction with Baronscourt Road. Mr Stalford wrote on Facebook: "In the past I have asked for traffic calming measures on the Saintfield Road. "It is clear that this is desperately needed after another accident has happened on the road. Transport NI cannot keep ducking this issue." Independent councillor Geraldine Rice said that a traffic strategy for the area was essential. "The lives of people in this area depend on it. The road has a bad bend and car and lorries often go over the 50 mph limit, particularly heading into Belfast," she said. Ms Rice added: "I am just grateful that no-one has been seriously injured on this occasion but it seems to be a regular occurrence that I am offering condolences to people injured or killed in road crashes here." Elected representatives have previously expressed concern about the increasing traffic in the area, where around 1,000 new homes are due to be built. The road is one of the busiest in Northern Ireland and the main thoroughfare connecting Belfast with south Down. 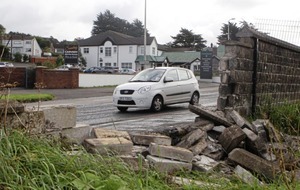 A spokesman for the Department for Infrastructure said: "I can advise that following a request the department has arranged a meeting with community and local representatives to discuss road safety within the Carryduff area."